When purchasing a home, you will no doubt have safety and security in mind. The first thing that you should do upon getting the keys to your house is to change the locks. Changing the locks will help you get started with securing your home against criminals and those that may want to break in. But that’s not enough today. Just having new locks is not going to suffice in protecting your home from nefarious characters, which is why you will want to look into picking out a good home security system. When you look for home security system reviews, you’re going to get hit with a lot of solutions. Finding the right option can be a matter of juggling a lot of different ideas, and figuring out which is going to work for your home. But that’s not enough, reviews are going to highlight problems with some of the many solutions that are out there. With so much information floating around in this regards, what is going to be the best way to move forward? Well, the following tips are going to help you narrow down your search, and ensure that you are getting the right system for your home’s overall needs. First and foremost, look at the crime rates in your area. This is a critical step that you should consider first, because it will tell you if you’re in a high crime area or not. If you’re not in a high crime area, then you don’t need to lock down your home like a steel fortress. However, that doesn’t mean that you should not purchase a home security system. It just means that you don’t need to purchase the most elaborate of options. Instead of going that route, you may want to pick up a lower end product, and perhaps something that is simple. Now, that doesn’t mean that you can’t buy something more expensive, it just may not be necessary is all. Before you have anyone come over to give you an assessment for security, write down some notes on your own. Walk around your property and look for entry points that are not protected. Any place that could be easy to break into your home should not be a surprise to you. Just walk around and see what you may be leaving overlooked. It’s easy to assume that your home is secure, but what if it isn’t? Just look around and see what is going on, just in case. Evaluating your property is going to highlight what you may not know about the exterior. When the sun goes down, what is lit in and around your home. Turn off all of the lights and see how dark it gets around your perimeter. Not only that, turn on the lights and see what is lit and what is not lit. You’ll be surprised by what message you’re sending when you are home and when you are not home. This can help you identify areas that you need to light up with motion lighting and security elements. This is a very important thing to understand, because it will help you assess what options you need to install overall. If you aren’t sure what lighting options you need, just look around your neighborhood. You may be surprised by what your neighbors have done with their lights and motion detectors. Don’t buy anything that doesn’t come with automated lighting elements, as it will not protect you when things go dark. Walk into your home, and then look around to see where entry points are. Do you have multiple locks? Do your windows lock? Do you have any spots that are dark? The internal structure of your home is going to speak volumes as to whether or not you have security or not. Sometimes, the interior design of your home lends to the credence that you are vulnerable and therefore you need a good system in place. 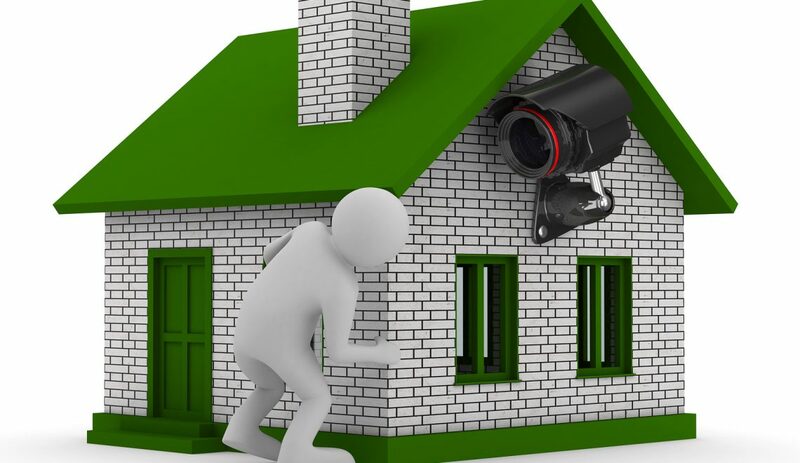 As you read home security system reviews you’re going to find that some are meant for larger estates, and some are meant for smaller options. You’ll need to see how some of the systems will fit in your home, and what you may not need. Once you have made some assessments about your home’s interior and exterior, you are ready to purchase a security system. Look into options that start with alarm sensors in your home. Something that can sound if there is a break into your front door, windows, and any other entry points is a good way to start things. From there, you’ll want to establish elements such as lights on the exterior of your home, as well as cameras that can record movement, and more. With today’s many options, you will find that some come with 1080p cameras, and upwards of 2TB hard drives to record daily, and help you get high definition footage of everything that is going on. As you look at different security systems, take note about calling the authorities. Some systems can call the police if there is a break in, while others can call local security companies. You’ll need to figure out whether or not you want to have the police alerted when something goes wrong, or if you want to just have a security officer called in case something goes awry. There are advantages to this overall, but at the end of the day it’s your call. Overall, the tips above are just some of the things that you should consider when you’re ready to buy a security system. Whether you have purchased a new home or you have been in your house for a while, security is important. Take time to investigate options and read home security system reviews. You’ll find that reviews can help you understand what systems work best for single family homes, larger residences, and much more. Take your time with this, and make sure that you get the right solution for your budget and overall needs.